For the Practitioner . . .
How do I get a copy of my license registration card (wallet card)? There is an opportunity to print your license registration card (wallet card) by logging into your online renewal account at www.armedicalboard.org. Once you have logged into you online account, the opportunity to print the document is available at any time. It would be found under the Free Online Services, click on License (Wallet Card). Being that the license renewal process is available strictly online, the registration cards (wallet cards) are no longer provided by mail. If you have issues printing your license registration card (wallet card), please contact our support department at 501-603-3559 or support@armedicalboard.org. 20 hours per renewal period. Reference Regulation 17 in the Arkansas Medical Practices Acts & Regulations. CME hours must be from birth month of previous year through birth month of current year. Starting January 1, 2013, 50% of CME hours must be Category 1 and in the physician's primary area of practice. Randon audits are performed monthly. If audited, certificates of CME completion are required to be submitted. Can I get a list of active MD's, DO's, PA's, RA's, etc. for a mailing list? Yes, you may register to purchase a mailing list at www.armedicalboard.org. You will then receive a link on the website to download the report. Once you access the link, it is suggested that you save the report to your computer as it will expire within 24 hours. Submit a copy of the legal documentation (i.e. marriage license, divorce decree, etc.) and include a signed and dated request that indicates you wish to make a name change. Be sure to include your license number and your name that is currently on your license. Fax to 501-296-1972 or email to support@armedicalboard.org (Adobe PDF ONLY). Once the name change request has been processed, you may print a new license registration card (wallet card) by logging into your online renewal account. What are the postgraduate training requirements to be eligible for an Arkansas medical license? U.S. graduates must have successfully completed at least one (1) year of U.S. internship or residency. International medical graduates must have successfully completed at least three (3) years of U.S. internship or residency (fellowships do not count), or be currently enrolled in a training program with UAMS and have successfully completed at least one (1) year of U.S. internship or residency. What are the maximum number of attempts for the USMLE to still be eligible for an Arkansas medical license? The Arkansas State Medical Board requires successful completion of each step in no more than three (3) attempts per step. Regerence Regulation 14 in the Arkansas Medical Practices Acts & Regulations. You may change your address information, phone numbers or email address by downloading the Change of address form at www.armedicalboard.org. The completed form may be faxed, emailed (pdf only) or mailed. For licensee's, you may change your address information by signing into your online renewal account. You will receive an automated email once the address has been updated. You may print a new license registration card (wallet card) by logging into your online renewal account. Does ASMB require a criminal background check when applying for licensure? Yes. Once the application for license has been received in this office, the applicant will be sent a packet (to their private address) with the fingerprint card and the instructions. This will not be sent until the application has been received. Reference A.C.A. 17-95-306 in the Arkansas Medical Practices Acts & Regulations. Does a physician have to have an AR license to practice in the VA system? Physicians practicing in the Veterans Administration (federal government) must have at least ONE state license in the United States in order to practice in the VA system. They can NOT practice outside the VA system in Arkansas without an Arkansas license. Reference A.C.A. 17-95-203 in the Arkansas Medical Practices Acts & Regulations. My physician won't give me my medical records. What can I do to get them? Arkansas Statute 16-46-106 outlines the action that a patient may take to attain medical records and the responsibility of the physician, service, and/or facility that houses the records. In contemplation of, preparation for, or use in any legal proceeding, any person who is or has been a patient of a doctor, hospital, ambulance provider, medical health care provider, or other medical institution shall be entitled to obtain access, personally or by and through his or her attorney, to the information in his or her medical records, upon request and with written patient authorization, and shall be furnished copies of all medical records pertaining to his or her case upon the tender of the expense of such copy or copies. Cost of each photocopy, excluding X rays, shall not exceed fifty cents (.50) per page for the first twenty-five (25) pages and twenty-five cents (.25) for each additional page. A labor charge not exceeding fifteen dollars ($15.00) may be added for each request for medical records under subdivision (a)(1) of this section, and the actual cost of any required postage may also be charged. Are physicians able to dispense prescription products out of their office? 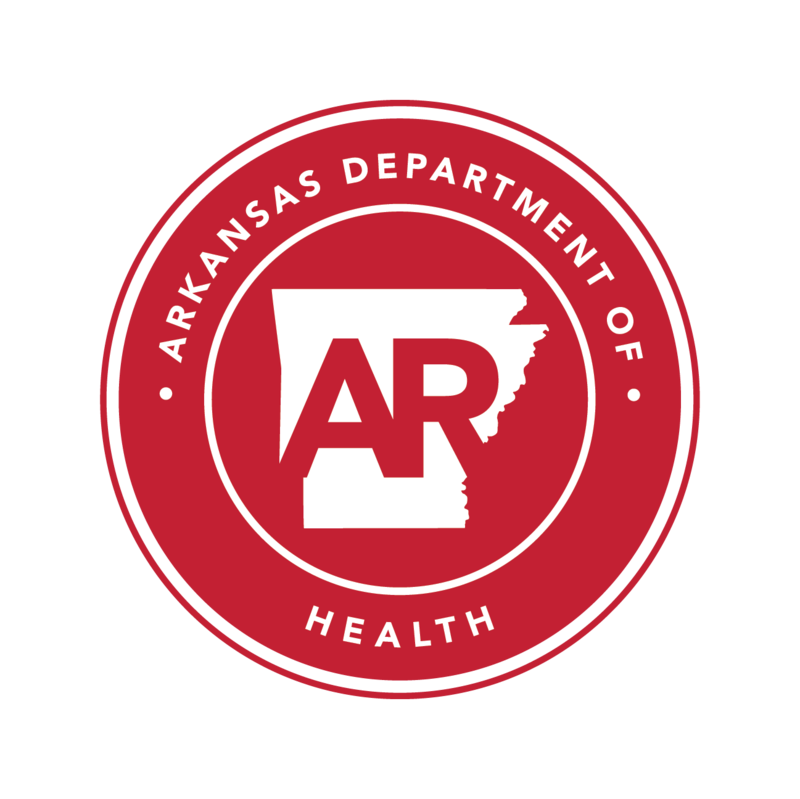 No physician licensed under the Arkansas Medical Practices Act, Sec. 17-95-201 et seq., shall dispense legend drugs without prior approval by the Arkansas State Medical Board, after application to the Board and upon proof of need. Are there any special considerations for military service members? The Arkansas State Medical Board will escalate the license applications of current and former military service members, and their spouses per A.C.A. 17-1-106. Active Duty Service Members licensure, certification, or permitting of spouses of active duty service members. License renewal fees are waived for all active duty military service members. Is a board appearance required to receive the medical license? In certain cases, some applicants will be required to appear. Education License and Education License Renewals; applicants with settled or pending malpractice cases; disciplinary or derogatory history; impairments; criminal history, etc., may require an appearance before the Board, however the need for an appearance will not be determined until the application file is complete. Practitioners will be notified via email by the licensure coordinator if the board's determination requires an appearance. The application processing time frame is based on the needs of each applicant’s file and how quickly the needs of the file are satisfied. Each file is processed in the order in which it is received. The more proactive, interactive and reactive the applicant is during the licensure process, the quicker the file can be completed. The Criminal Background Check can take 2 (two) to six (6) weeks for processing the results with the State and FBI. Can a Physician get a temporary license before a full license is issued? Yes. This can be requested at the time of initially submitting the application, or when the file is complete. A written request and a fee of $50 is required. Temporary permits are not guaranteed, but issued at the discretion of the Board Chairman. Note: temporary permits will not be issued until the file has completed the entire licensure process. Temporary permits are normally requested from applicants that are required to make a personal board appearance for licensure determination (licenses are granted weekly for applicants that are NOT required to appear). Once a file is complete, the temporary permit request is submitted to the Board Chairman on Thursday of each week. The determination of the request is normally relayed to the applicant on the Friday of that same week. Does ASMB accept the FCVS to obtain a license? Yes. The ASMB is accepting the FCVS profiles in lieu of the applicant submitting the verification forms directly to the medical school, postgradudate training and exam entity. However, please note that the MD/DO licensure application on the www.armedicalboard.org website must be completed in its entirety and submitted to the ASMB office in order to begin the licensure process. If the physician is NOT participating in FCVS, or if any of his/her education is not provided by FCVS, it will be the applicant's responsibility to request the verification of his/her education training be sent directly to the ASMB office. Contact the Federation of State Medical Boards at www.fsmb.org to request your FCVS profile be sent to the ASMB. Is the direct source verification required for all work history when applying for licensure? On February 4, 2016, the Arkansas State Medical Board approved to reduce the verification of Work History and Hospital Privilege History to the last ten (10) years since graduation from medical school, unless the circumstances call for additional work history verification. Although the collection of the verification information is now limited to ten (10) years, the applicant is still required to provide a work history on their application that is inclusive of ALL history since the graduation of medical school. Does your Board accept VeriDoc for other state license verifications? Yes, but please note – the Board Staff will attempt to collect all US license verifications but applicants may be required to request them from those states that do not provide the verification via the state’s websites. Any Arkansas MD/DO licensee whose license has been expired for three (3) years or more, will be required to reapply for reinstatement of their license. The process will be the same as applying for a full license and it will be necessary to complete the application process in its entirety, however any verifications in the original license file that can be reused will, but it is not guaranteed. The reinstated license application will be provided condensed requirements, however the application will be submitted to the board for determination in the same manner as other applicants. The reinstatement applicant can also apply for a temporary license. Please note that a temporary or full license, if approved, will not be issued until the file has completed the entire licensure process. Reference A.C.A. 17-95-408 in the Arkansas Medical Practices Acts & Regulations.